Black-eyed Susan; photo by Dendroica cerulea on Flickr (use permitted with attribution). 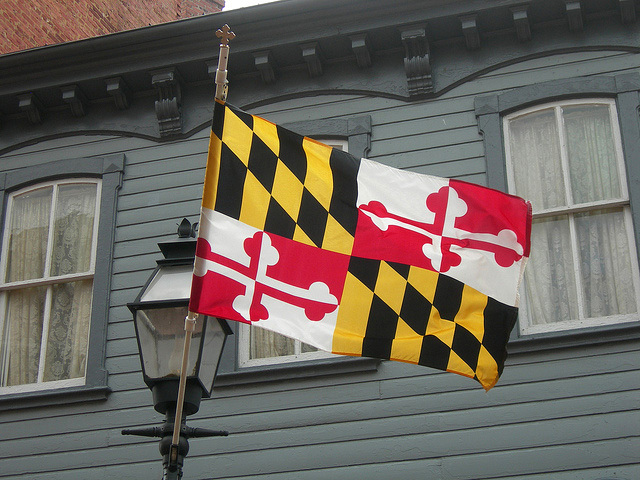 Black-eyed Susans are common in Maryland fields and roadsides, and the black and gold colors match the state bird, state insect, and even the state cat. The black-eyed Susan is a daisy-like wildflower with yellow petals and a dark brown center that grows in dry places. A member of the sunflower family and native to the United States east of the Rocky Mountains, . 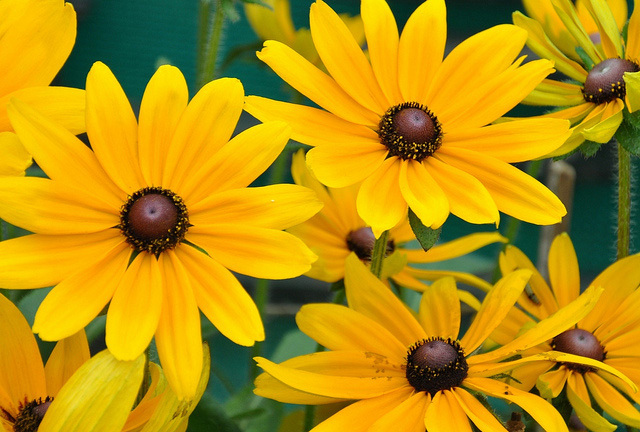 Black-eyed Susan plants reach 2 to 3 feet in height, blooming between May and August. The flower heads measure 2 to 3 inches in diameter. 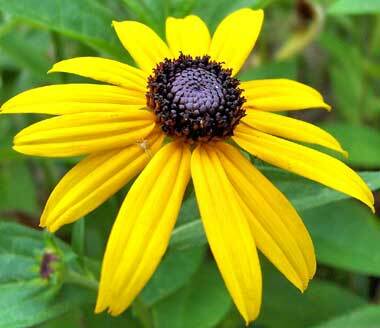 The scientific name for the black-eyed Susan is Rudbeckia hirta; "hirta" is Latin for "rough hairy" (as the prominent center of the flower is). 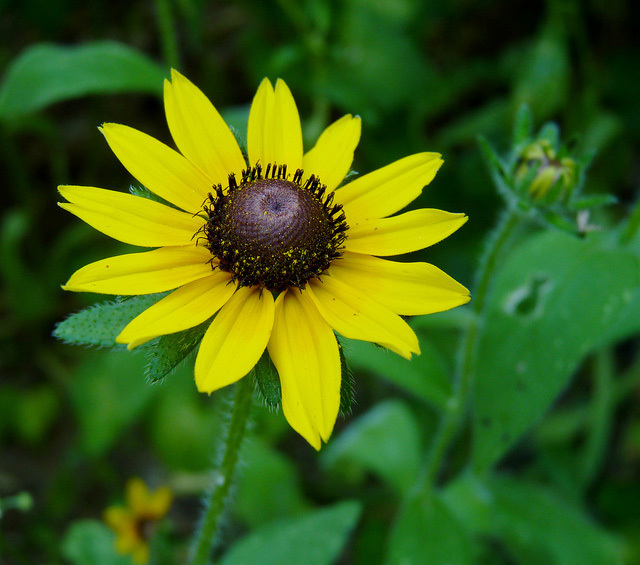 The root of the black-eyed Susan is used in traditional and folk remedies to treat colds. Black-eyed Susans; the state flower of Maryland. Photo by PARSHOTAM LAL TANDON on Flickr (noncommercial use permitted with attribution / share alike). Black-eyed susan flower; photo © John Stenberg on Flickr (all rights reserved; used by permission).